This is my latest piece on multi-baggers. 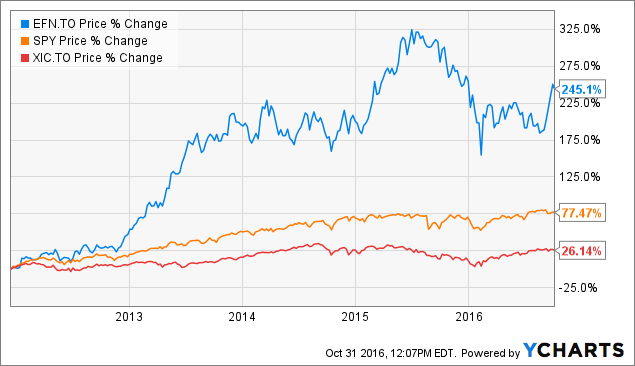 Altria Group, also referred to as Philip Morris, has been one of best performing stock ever in the last 100 years. Tobacco itself was the best performing industry from 1900 to 2000. It wasn’t oil, technology, or IT. No it was tobacco. Here’s an industry that didn’t require any innovation or massive technology breakthrough. It’s just tobacco and it has crushed any other industry. Thanks in part to its addictive nature. 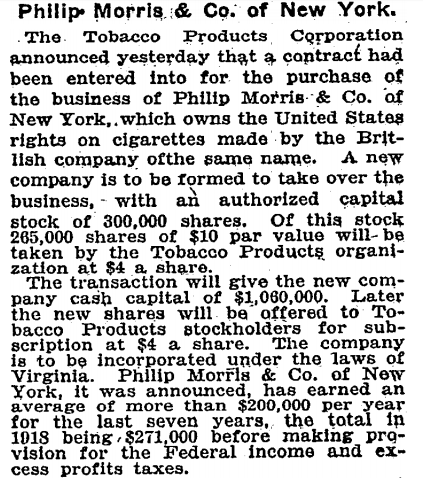 Shares of Philip Morris were publicly available from 1919 but data is hard to come by. Most public website, such as Yahoo! Finance, has data going back to the 1970s. I spoke with investor relations but they couldn’t help either. So I had to calculate my performance from 1970. That’s reasonable holding period. It also represent a working lifetime. The cost of one share on November 23, 1970 would have been $46.12. Since then there have been many splits. My one share would have turned into 96 shares. There was a 2 for 1 split in 1974, 1979, and 1986, a 4 for 1 split in 1989, a 3 for 1 split in 1997. It’s possible there were splits before the 1970s but the data are extremely difficult to come by. My single $46.12 share would have turned into 96 shares worth $6,145.92. This represents a 57466% change, or a 574.6-bagger in Peter Lynch’s parlance. A $1,000 investment (2081.30 shares split adjusted) would have been worth $575,666.84. The yearly dividend payment would have been 5,077$, five time my original investment. Investing in Atria may not have been the most ethical choice but it would have been a financially sound decision, and more. The full article is on Seeking Alpha and is free to read. They have the rights to it so I can’t post the full piece. One of the best part are the comments. I love reading stories on how certain people have been holding to certain shares for more than 30 years and saw their investment compounded many fold. One commentator said that his shares of Altria has been in the family for almost 100 years! The full corporate story of Philip Morris is complex but the outstanding performance of its stock makes it worth looking into. Investing in Atria may not have been the most ethical choice but it would have been a financially sound decision. How much your investment in Philip Morris Companies would be worth today is very complicated due to the number of spinoffs, mergers, splits, and IPOs. One share of Philip Morris in 1970 is equal to 96 shares today! $1,000 invested in 1970 would give you $5,077 in dividend payment today! 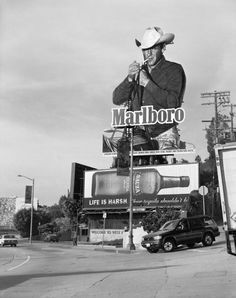 Marlboro Man, Hollywood California. Source: Arthur Grace, photographer. I’m a big fan of history and business. I’ve been researching multibaggers and along the way, I’ve decided to write some articles. So far, the feedback has been amazing. Here are my first two articles in the multibagger series. The best part about writing these articles are the comments. I love reading people’s stories. In my previous article, one commentator suggested I write an article on Philip Morris Companies Inc., better known as Altria Group Inc. (NYSE:MO) since 2003. At first, even though I knew the tobacco industry was a money-printing machine, we don’t talk about Philip Morris in the same conversation as the Facebook (NASDAQ:FB) and Netflix (NASDAQ:NFLX) of this world. That is, companies that made people very rich. My first two articles were about two high-tech stocks that changed people’s lives for the better – Apple (NASDAQ:AAPL) and Microsoft (NASDAQ:MSFT). Philip Morris’ products are not known to make life better. I see a couple of reasons why the Altria Group is not lumped with the “cool” high return companies. The first reason is that the tobacco industry is boring. Second, when you think of Philip Morris, you think of big fat reliable slowly growing dividends, not an innovative company with amazing growth prospect. 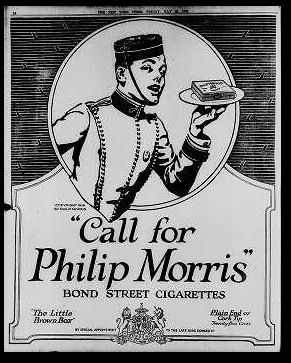 The suggestion to write about Philip Morris led me to research it and I liked what I saw. Today Altria Group is a $122b market cap company with approximately $19b in revenues. The cigarette manufacturer distributes annualized dividend of $2.44 per share that provides a yield of 3.9%. The Altria Group owns 100% of Philip Morris USA, John Middleton (machine-made cigars), Philip Morris Capital Corporation (leveraged leases), U.S. Smokeless Tobacco Company, and the Ste. Michelle Wine Estates. Altria also owns 9.6% of Anheuser-Busch InBev. It’s a pretty diversified group but it’s mostly known for its cigarettes and its Marlboro brand. I bring up the dividends early on because it has been such an important contributor to its performance. Altria has increased its dividend 51 times in 48 years. Altria targets a dividend payout ratio of approximately 80% of adjusted earnings per share. The dividends have turned Altria into a dominant investment. It has been a favorite of dividend investors for a long time, as the company has consistently made healthy payouts to its shareholders. The company has provided the killer combo: the income they need and the capital appreciation they want. Altria recently revised its guidance for 2016 full-year adjusted EPS from a range of $3.01 to $3.07 to a range of $2.98 to $3.04, representing a growth rate of 6.5% to 8.5% from a 2015 adjusted EPS base of $2.80. Altria aims to maintain its long-term financial goals of growing adjusted diluted EPS at an average annual rate of 7% to 9% and a target dividend payout ratio of approximately 80% of adjusted EPS. The full corporate story of Philip Morris is complex but the outstanding performance of its stock makes it worth looking into. Determining what your initial investment in the original companies that formed the Altria Group/Philip Morris Companies would be worth today is very complicated due to the number of spinoffs, mergers, splits, and IPOs. There’s a reason why it was called Philip Morris Companies Inc. In addition to the U.S. and international tobacco business, Philip Morris owned Kraft Foods and still owns its original stake in the Miller Brewing company that became SABMiller, and now Anheuser Bush Inbev SA (NYSE:BUD). There are many layers to this. For an idea of the complexity, just take Kraft for an example. After Philip Morris bought Nabisco Holdings, it combined General Foods, Kraft, and Nabisco Holdings into one company called Kraft Food. Then there was the IPO of Kraft in 2001, its spin-off in 2007 and a split in two companies in 2012 with the other half becoming Mondelez International. At the time, the value of the spun-off Kraft shares was almost 24% of Altria’s total value prior to the spinoff, leaving Altria subsequently about three-quarters as large as it had been. Then in 2015 Kraft was acquired by Heinz. Then I have to calculate the appropriate cash dividend from all the subsidiaries because Philip Morris International was spun off too and in this case Altria was the much smaller company. This can be a messy exercise. What’s clear is that long-term shareholders of the Altria Group have been very well rewarded. Even though that over time, Kraft and Philip Morris have rewarded their shareholders in their own unique ways, for simplicity’s sake, I focused solely on the Altria Group even though the “full complete” investment performance would be much higher. Altria Group Inc. is the original company and subject of this article. It’s the U.S. tobacco business and many other companies mentioned at the beginning of the article. In 2008, Altria Group spun off its non-US tobacco business, Philip Morris International (NYSE:PM) to its shareholders. Altria investors received Philip Morris shares on a 1-for-1 basis. Philip Morris was actually the much larger offshoot, with Altria representing barely 30% of the value of the two companies. The reason for the split was to set free the faster-growing overseas operations while the U.S. business was entangled in smoker lawsuits. It markets and sells its products in approximately 180 countries. Kraft Food is now The Kraft Heinz Company (NASDAQ:KHC). Mondelez International (MDLZ) is still a standalone company. The IPO was in 2001 and was the spin-off in 2007. The Miller Brewing Company became SABMiller and is now Anheuser-Busch InBev SA/NV (NYSE:BUD). Altria owns almost 10% of the newly merged company. Unfortunately, when it came to calculating its performance, I couldn’t go back all the way to 1919 when it was first publicly available to the public and was majority owned by the Tobacco Products Corporation. I spoke with investor relations and they didn’t know what their investment return was since 1919. However, they did refer me to a paid service that might find out for me but I refused to pay $25. So I had to use the data available to me. The earliest I could go back is November 23, 1970. That’s as far as Altria would go. However, historical closing prices and dividend payments for Altria dating back to the early 1970s are available on Yahoo Finance. That’s fine since we can reasonably assume that a long-term shareholder wouldn’t have acquired his shares in 1919. That’s also essentially a working lifetime. However, it’s reasonable to assume that one could have held shares for twenty or thirty years. You can read the full article here on Seeking Alpha. What Ever Happened After This Round of Golf? Here’s an interesting picture taken in 2008. In hindsight, there’s a lot going on here. Rudy Giuliani, the former mayor of NY, is smiling and doesn’t look crazy. What happened to him? He tried to become President in 2008. Donald Trump was a democrat, pro-war, pro-choice and a Clinton supporter. Now he’s President-elect as a republican. Michael Bloomberg was the mayor of NY and hanging out with Donald Trump. He was considering an independent run to stop Donald Trump. Bill Clinton wasn’t a vegan. And then you have Joe Torre and Billy Crystal photo bombing. I wonder if that pic will ever be taken again. Below is a message I posted in French on my Facebook account. It’s my take on the referendum in my hometown. In short, the town just had its “Donald Trump” moment. Premièrement je voudrais remercier André Boudreau, Doris Bourget et les autres conseiller qui ont servi la ville de Percé. Ce consacré au service de la population est extrêmement difficile. Ça demande beaucoup de courage et d’engagement. Et encore plus au niveau locale parce ce que tu vis avec gens qui sont impacté par tes décisions à tous les jours. America you did it. You broke the glass ceiling. I’m not referring to electing a woman as your first President. No, not that. That would be too easy. I’m referring to the the bigger glass ceiling: Electing a reality TV star. The guy from The Apprentice is your next President. It has been over a week since Donald Trump is President elect and it still doesn’t feel real. Saying the phrase “President Trump” doesn’t roll easily. Where is Ashton Kutcher and his cameras? I’m still waiting for him to come out of no where to tell us we got pranked. For the last year and a half, Donald Trump occupied way too much of my brain power. It looks like it won’t stop. It’s obvious Trump won’t be a traditional President. I just can’t picture him fulfilling all the traditional Presidential duties. Try to picture Trump going to all these ceremonies because the customs demands so. The elections were less about electing Donald Trump and his platform and more about giving a big F-You to the establishment, that is the anachronistic, arrogant, entitled, smug, conceited ruling elite and ruling paradigm. Just like Brexit, it wasn’t about racism or misogyny, but a fundamental shattering of an old paradigm. The vote was not so much for a particular vision of one man, but against a prevailing model of managing the world. The neoliberal world of the last 30 years got brought to its knees. White working- and middle-class fellow citizens – out of anger and anguish – rejected the economic neglect of neoliberal policies and the self-righteous arrogance of elites. A lot of wealth and good happened in the last 30 to 40 years, but not everyone enjoyed the benefits and some people were left behind. Those people voted last week. The Forgotten Man, by Jon McNaughton, depicts Obama trampling on the US Constitution, has been bought by Fox News anchor Sean Hannity, who plans to present it to Trump. I don’t think Jon McNaughton’s painting won’t win any prizes for artistic merit or subtlety. 1) Trump will resign and go back to the life he enjoyed. He hates his new life and he will hate it more once he’s in Washington. There’s nothing wrong with that. Trump already said that his VP Mike Pence will be running the country anyway. 2) He will resign because he’s sick. He hates his new life so much that it made him sick. Remember that Trump jumped in the race as a publicity stunt to get a pay raise from NBC for his TV show. The stunt backfired badly and as a result he has damaged the Trump brand. Trump Hotel will use the name Scion for new hotels instead of Trump. 3) Trump will resign because of an impeachement process. He won’t need to abuse the office of the Presidency for that. He already has a bunch of legal problems pending that will eventually catch up to him. The Republicans will turn their back on Trump after he got them the keys to the castle. That is the White House, Congress and the Supreme Court. Remember this is politics folk. Just like he wish, that will be his way out and tell people that the system is corrupted to save face. 4) He will be assassinated but that the least probably scenario. Donald Trump is a marketing genius. Trump knows you have about 7 seconds of somebody’s attention. What did Trump do? For a year and a half he repeated the same things over and over and over and over. “Make American Great Again”, “drain the swamp”, “crooked politicians” and other sticky slogans were drilled in people’s mind. And yet we don’t have a single clue how he is going to make America great. Trump won the election with a vocabulary of about twenty words (Loser, winner, huge, rich etc…) Anger and emotions blinded the Americans. Chris Mayer, the author of 100 Baggers: Stocks That Return 100-to-1 and How To Find Them, and Chief Investment Strategist of Bonner Private Portfolio, shared the following story he recently published with Boyar Research. Through the years I’ve read some of Chris’s material and I had the opportunity to exchange with him a few times. Great guy and his stuff contains valuable pieces of financial wisdom. It illustrates the two key factors that go into a successful investment. And they apply to just about any asset, regardless of what the economy is doing. Just to be clear. I’m not a Democrat or a Republican. I’m not even American so I can’t vote. But I did live in the U.S. for many years. I have many friends in the U.S. I invest in U.S. companies. I visit the country occasionally and I follow what’s happening in the country very closely. So I care about this. America has given people so many opportunities. It is not perfect but I believe it is a force for good in the world. A healthy strong America is better for the world. If you are American, you are probably sick and tired of both candidates and politics in general. It’s kind of frustrating that this is the best two candidates that America has to offer. But you have to make a choice. (And why, in 2016, are there still only two main political parties? But that’s a topic for another day). You are stuck between Hillary Clinton and Donald Trump. I’ve look at third party options and they are not credible. Where do you vote if you are a moderate? Where are the normal candidates at? Donald Trump is polling good numbers and as crazy as it sound it could become President. It doesn’t matter what he does or say, who he offends, how many women he sexually assaulted, or that he’s not qualified for the job, 40-45% of the population will vote for him. Facts don’t matter to Trump supporters, despite clear evidence that he had misrepresented or falsified key issues throughout the campaign. To understand why people will vote for Donald Trump, you need to put yourself in their shoes. I think it’s an exercise that more people should do. I’m not going to pretend that I understand what it is to be a Trump supporter, because I don’t, but I can try to understand their point of view. Despite all the dreadful things that Donald Trump said and did, he’s still polling around 40%. So that’s means there is a large segment of the population that support his views. People will vote for Donald Trump because they believe he will make their lives better. Most of Trump supporters are, and I’m generalizing 1)white male 2)less educated 3)and have lower income. In that ~40% you also have the republicans that only vote republicans and the Christian vote (it’s really an anti-abortion vote). A lot of people also hates Hillary Clinton. Even though stats have shown that the U.S.A. is doing well (GDP up, unemployment below 5%, stock market at record high etc…) they feel they “lost” they country. America has prospered a lot in the last few decades and even if it doesn’t feel like it, most Americans are better off than they were. However some people were left behind and as a result have fallen through the cracks of society. They will vote for Donald Trump because the political establishment of the last few decades has failed them, and Hillary Clinton is part of the “establishment” and Donald Trump is not. Trump is not ready to assume the responsibilities that comes with being President of the U.S. He doesn’t have the knowledge, the experience, and the temperament to be President. The idea the he alone can “fix it” is absurd. He’s textbook egomaniac. He’s tapping into popular resentments and insecurities. I don’t think he has any idea what he got himself into. Getting things done in politics wasn’t suppose to be easy. When the founding fathers created the system, it was intentionally set up to have gridlock. Today we see it as a frustrating flaw, but the idea is that if you are going to change something you need a good majority. Donald Trump has trampled all over the unwritten rules of American democracy, violating his party and his country. He’s running the campaign like it’s so kind of reality TV show. It creates an ambiguity about how serious he is, and how seriously his audience needs to take him. There are too many signs that he’s unfit to be head of state. We never know what Trump will say next and that’s a huge problem. It represents massive uncertainty, and uncertainty can cause social unrest. Now Hillary Clinton is not perfect. She has a long history in American politics. She represents the “establishment”. Hillary is bought and sold. She’s not credible and most American distrust her, with reason. She will say the scripted things to get votes. If she was running against a more competent opponent she would probably lose. Look how hard it was to beat Bernie Sanders. Trump has pissed off every voting class possible except the angry broke white men. Trump can’t get the women vote, the Hispanic vote, the black vote, the Muslim vote, the educated vote, and he stills has a chance to beat Hillary. Despite all of that, Hillary Clinton should be the next President of United-States. This is more than “she’s the lesser of the two evils.” She’s the most qualified and the most prepared. You are not going to like her. She doesn’t have the charisma of Obama or he husband. She’s not warm. You have put up with a manufactured smile and her boring speeches. But what really matters? You need the person to get the job done. When it comes to elections, instead of “hiring” the right person, you are voting for the right person. But when it comes to voting, people forgets the importance of the resume and it becomes a popularity contest. When it’s a popularity contest, people will say or do whatever is necessary to get votes and that’s when things get out of whack. You need to charm people. Charisma and great speeches is what got Obama elected twice despite his lack of experience and a tough first term. Hillary Clinton has a solid resume but struggle to be popular. Yes she has many flaws but I want the best person for the job, not the coolest. She knows the game better than anybody. She will work with legislators, even the ones that are determined to thwart her. That means less gridlock and getting things done. It’s not going to take her six months to get up to speed with the job. Plus Bill Clinton will be in the White House and I don’t think he’s there to choose the china set. Remember the 90s? I really think that if you vote for her, you will not regret your decision and America will be better off in four years. Another thing that I look for when I vote is their potential cabinet, the people who surrounds and advice the President. Let’s face it, the President is not the real decision maker. He’s just there for PR. What really matters is who is running Defence? Education? Treasury? Secretary of State? Even if Trump wins it won’t be the end of the world because he won’t do anything. His cabinet will tell him what to do and Congress or the Supreme Court will probably not pass any of his crazy idea. Hillary will be better surrounded. If she can keep Joe Biden or John Kerry that would be great. Trump will listen to Rudy Giuliani and Chris Christie, that’s not good. Plus Trump has pissed off too many credible Republicans that they won’t work with him. I don’t think Trump has the personality to attract top talent. Here are my predictions: Hillary wins. If Mr Trump loses, Mrs Clinton will begin her presidency with tens of millions of people believing that she ought to be in jail. Perhaps he will lose so comprehensively that he takes the Republican majorities in both chambers down with him. That would afford Mrs Clinton at least two years, before the next mid-term elections, during which she might push through an immigration reform, increase spending on infrastructure and change the balance on the Supreme Court. These would be big achievements, but something close to 40% of voters would feel they were being steamrollered by a hostile government. Then the Democrats will lose the mid-term election. Politics could become yet more polarized. Here’s my latest research article published on Seeking Alpha. ECN Capital (ECN) is the spin-off company out of Element Financial, now called Element Fleet (ELF). ECN Capital is the smaller entity. Very often what happens when there’s a spin-off, the smaller company, in this case ECN Capital, get sold. Large money pool (institutions) is responsible for the change in stock prices. Holders of the larger Element Financial received a little bit of shares of ECN and is too little to be important. Often it doesn’t meet the investments parameters of the institutions (size, volume, track-record etc…) So they sell the company without even looking at it. This can pushed the stock price down for a few weeks after a spin-off. ECN is also affected by the canceled transaction with Infor. Infor is a SPAC, so it’s just a company with cash looking to acquire another company. This too put downward pressure on ECN’s stock price. I believe both instances are short-term issues. ECN’s has an adjusted book value of $4.41. With estimated 2016 earnings coming in at $0.35-$0.40, if you apply a conservative 10x multiple, you get an implied value of $3.50 to $4. The article is only available on Seeking Alpha here. Below is a preview. ECN Capital is the spin-off company out of Element Financial. The separation as an independent company enables ECN to focus on opportunities to expand its business and enhance profitability. ECN is undervalued and trading for garbage. ECN is worth between $3.50 and $4.41 per share. Led by serial entrepreneur Steve Hudson, former CEO of Newcourt Credit. ECN Capital is working on potential acquisitions. The gap between the ECN’s net asset value and its trading price is very large. ECN Capital (OTC:ECNCF) (TSX:ECN) is primarily traded on the Toronto Stock Exchange under the ticker ECN. Since trading began on October 4, 2016, ECN has an average volume of 6.2m shares with an average daily value of $19.6m. Note: Dollar amounts are in Canadian $ unless mentioned otherwise. USD-CAD 1.3386 Price of 1 USD in CAD as of October 28, 2016. On October 4, 2016, Element Financial Corporation started trading as two separate publicly-traded companies. Element Financial Corporation is now Element Fleet Management Corp. (TSX:EFN) (OTC:ELEEF) and ECN Capital Corp. (TSX:ECN) (OTC:ECNCF). This article will focus on the smaller spin-off company, ECN Capital. Watch ECN Capital open the Toronto Stock Exchange (YouTube). As a result of the Separation Transaction, Element Fleet, led by Bradley Nullmeyer as CEO, has been established as the world’s largest publicly traded fleet management company with approximately $18.0 billion in assets and ECN Capital, led by Steven Hudson as CEO, has been established as a leading North American commercial finance company with approximately $8.2 billion in owned and managed assets. – Source: Joint press release by ECN and EFN. If you were an early investor in Element Financial, you have been well rewarded. Since its IPO on December 16, 2011, Element Financial has crushed the markets. See chart below. EFN data by YCharts Former name: Element Financial. Returns from December 11, 2016, the IPO, to October 3, 2016, before the spinoff of ECN Capital. Since its IPO, Element Financial has delivered a 245% return vs 77% for S&P 500 vs 26% for the S&P/TSX Composite Index. This is a lot of success for this young company. Element went public via a reverse takeover. Element was created with an investment of $10m from Steve Hudson, the CEO, and with about $75m from private placement stock raised from high-net worth investors, including former Ontario premier Mike Harris. Element started as a small leasing company. During the financial crisis banks were pulling back on lending. Not only that, they were putting leasing assets up for sale. Insurers and banks that wanted to return to investing in lease financing in Canada had no way to do it. A manager with experience in leasing, with relationships at banks and insurers, could buy up leasing companies and fill the gap in the market. That’s when Steve Hudson and Element stepped in. Element started small and much of the growth has come from buying other companies or lines of business. Element has a history of repeatedly adding value to shareholders and that should continue with ECN Capital. At the time of its IPO, Element had just $234m in portfolio assets and was solely based in Canada. Today, pre-split Element/ECN had $24b in assets with a large exposure to the U.S. Today, ECN Capital trades for about $2.97 a share with a market capitalization of $1.14b. Based on my assumptions, I believe that ECN Capital is undervalued based on its net assets and fundamentals. ECN’s stock took a beating following the cancellation of the INFOR (IAC.to) transaction (more details below). The transaction would have enabled ECN Capital to accelerate its growth plan following the separation. This opportunity exists because of the “post-split” sale. Usually, the smaller spin-off entity finds its way into the hands of investors who can’t own it or don’t really want to own it and the stock is immediately sold. Following the spinoff, ECN traded at a high of $3.47 and crashed down to below $3 following the cancellation of the transaction. The market’s overreaction provides a nice opportunity to get in at $2.97. ECN will have no issues raising the capital it needs for its growth. It has done it in the past and has been tremendously successful at it. This latest news is just a bump. Once the stock recovers from the overselling and ECN executes its growth plan, ECN should rebound. A return to $3.40 provides a 14.5% return. I don’t think that is farfetched. The bigger returns for an investment in ECN rest in its long-term thesis. The split was supposed to resolve ECN’s undervaluation but instead the stock has been hostage to short-term overselling resulting from the canceled transaction. ECN is an attractive business that is worth more than book value. ECN Capital will trade higher over the next year driven by accretive acquisitions and a market repricing upward of its stock. My target of $3.50 to $4.41 per share is conservative. I assume that at 10 times 2016 estimated earnings of $0.35 to $0.40, the implied share price of ECN is between $3.50 and $4 per share. This implies an upside of 17.85% to 34.7%. This is below the estimated adjusted book value of $4.41 per share. ECN is undervalued and deserves to trade higher than the current $2.97 per share. For the full article available at Seeking Alpha here.